Algarve is the most South province of Portugal. It is well known for beach holidays. Rugged coastline, with hidden beaches, picturesque towns and also a party scene at Albufeira. But do you know the Algarve has a lot more to offer? Wildlife watching! You read it correctly, Portugal has some nice animals and birds to spot, if you know where to look for them. Which animals and birds did I spot? Continue reading and you'll find out! 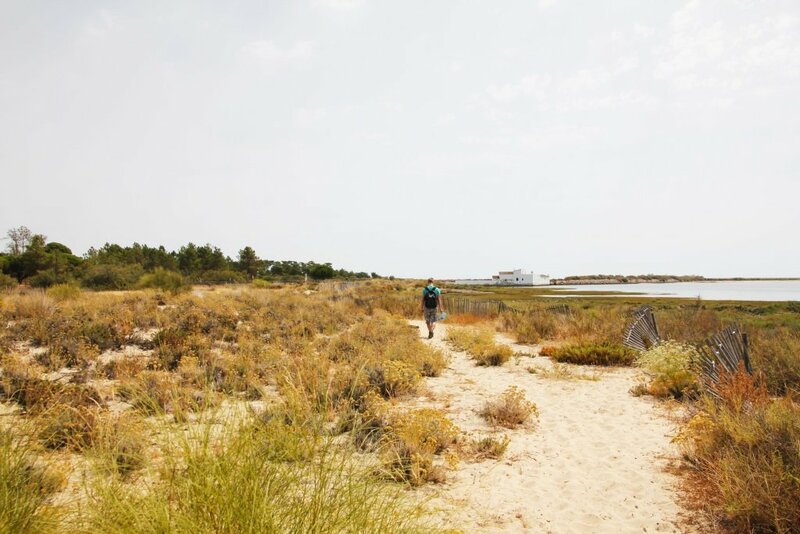 My husband Timo and I stayed close to Tavira, which is a city close to the border of Spain. 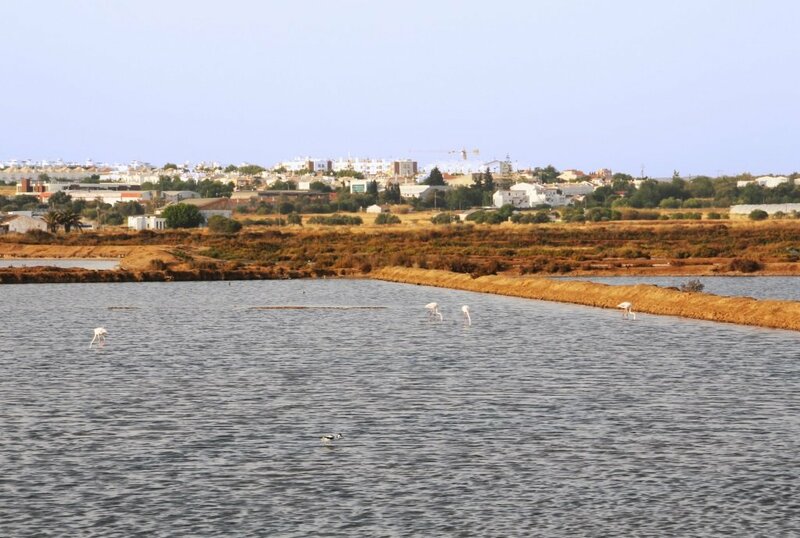 Tavira is not only a small fishing town, it has uses an ancient technology to turn landscape into salt pans. 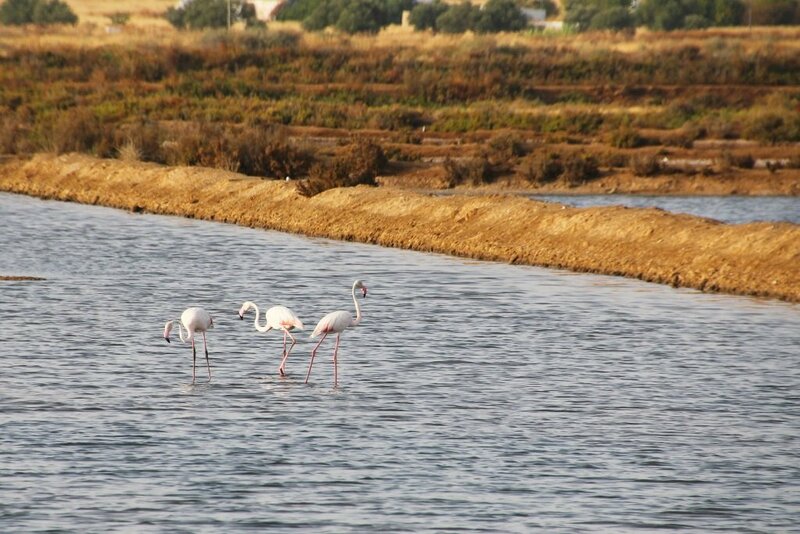 Salt pans are not only for production of salt, it is important for several species of birds. One of the birds which is attracted to this environment is the flamingo. These pink wading birds filter-feed on shrimp and algae. The low and salt water of the salt pans are perfect for this. If you drive towards the ferry of Tavira, you will find some salt pans along the way. 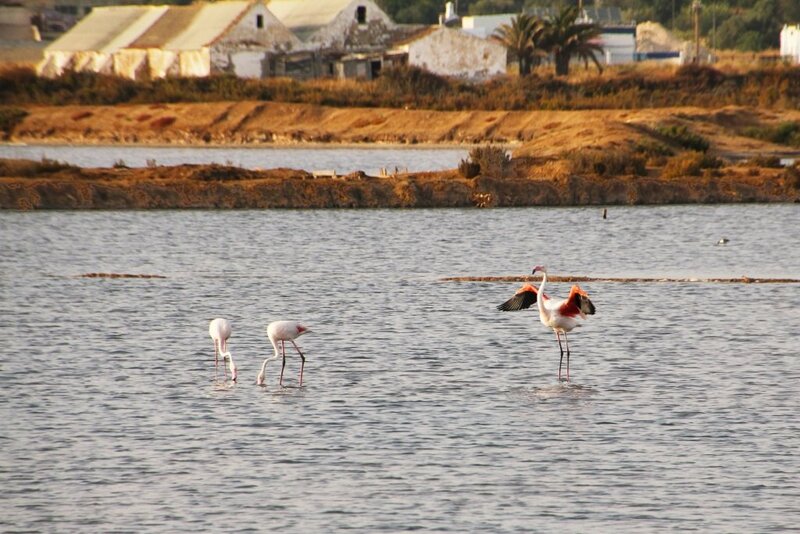 Just take a good look, and you can find some flamingo’s during summer period. 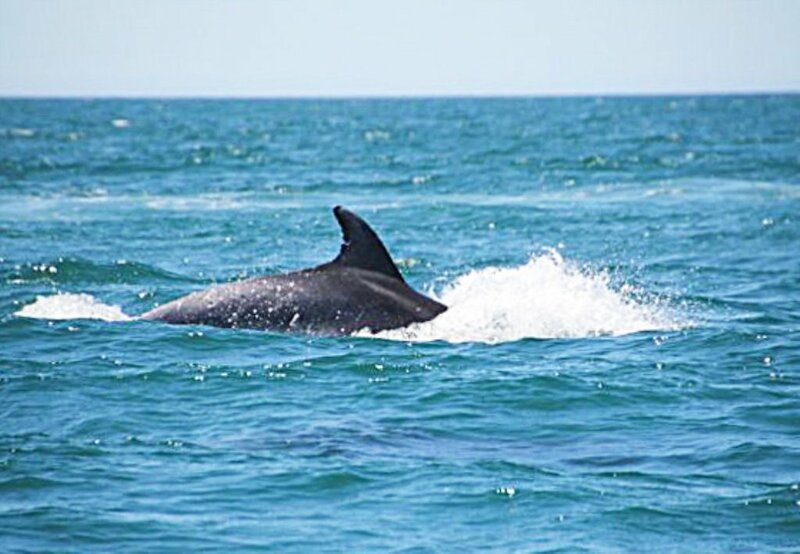 The best months to spot dolphins around the coast of the Algarve are June, July and August. Other months you can find them, but not guaranteed. 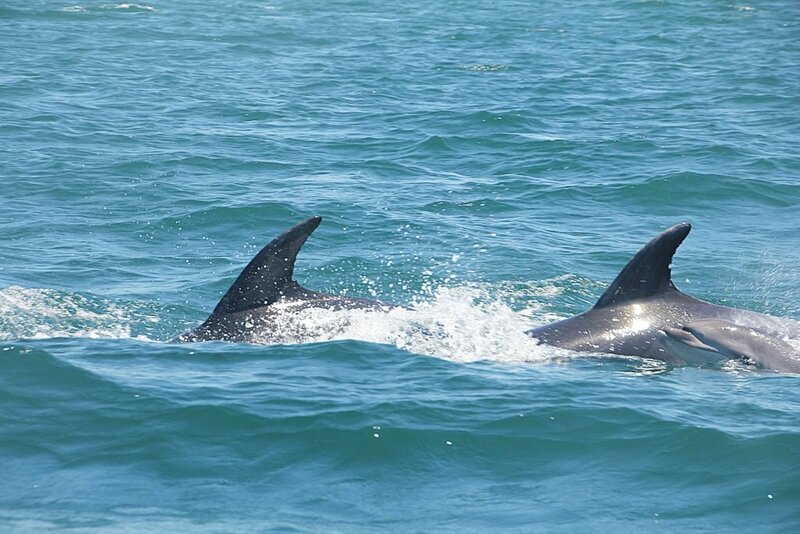 At different times a day you can go on a dolphin watching tour for only 35 - 40 Euros per person. From several places you can make this tour like Albufeira, but we entered the sea from Lagos. With a RIB (rigid inflatable boat) you will take a ride into the ocean. On each boat there will be a marine biologist, which provided us with excellent information. 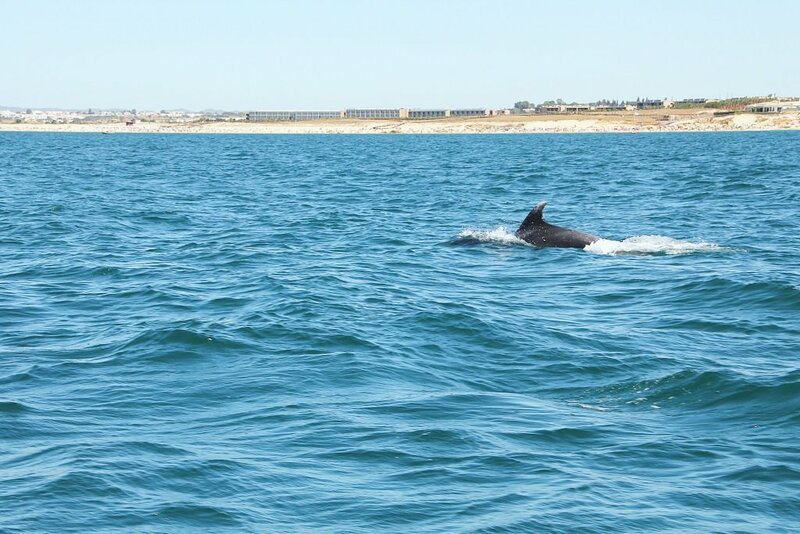 There are 8 species of dolphins and whales to be spotted in the Algarve. 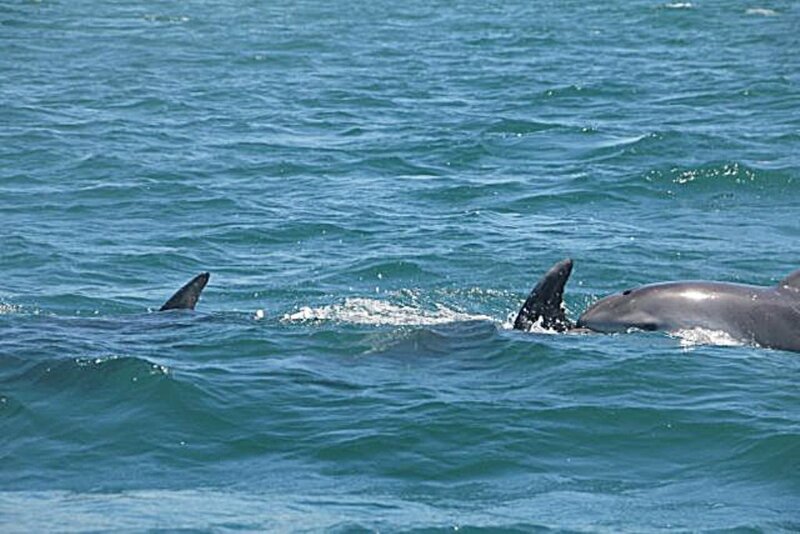 Most common to see, are the bottle-nose dolphins and common dolphins. The whales are spotted further ashore. This tour will stay close to the shore. With a live jacket and a motion sickness pill we took this lovely tour. The guide told us they had seen a spectacular show earlier that morning so she thought the dolphins would be further away. We had to ride for about 30-40 minutes towards Albufeira and then we spotted them. There were more boats around and we never knew where they would pop up. It was very difficult to take pictures, but luckily the company where we booked the tour made a video, which was available a few days after the tour for free. We could enjoy observing them for about 20 minutes. It was a really good experience and I would definitely would do this again! The very knowledge biologist was super and also the view from the boat at the coast was nice. Chameleon? I can hear you thinking, but those exotic animals don’t live in Europe! Well you’re wrong! They live along the coast at the national park Rio Formosa. 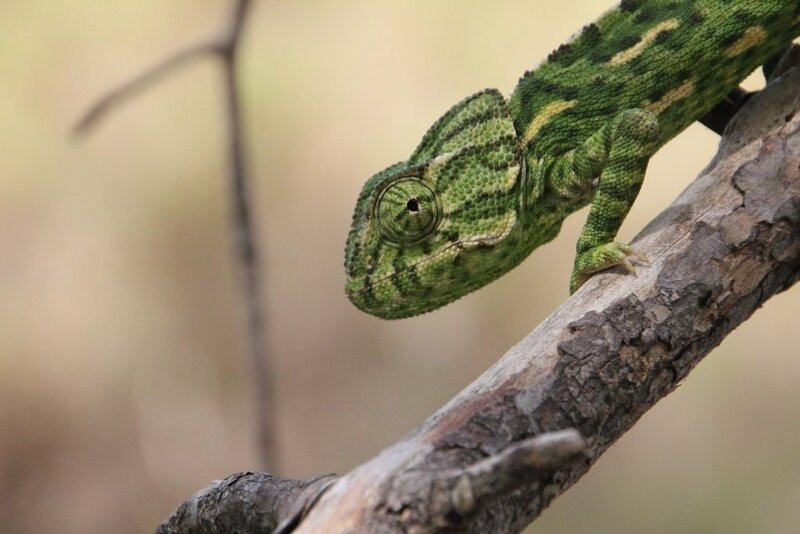 There are about 80 species of chameleons in the world and the regular chameleon is living in this area. This animal is some kind of lizard form the iguana family. You can find it in bushes and trees, but also at sandy grounds. 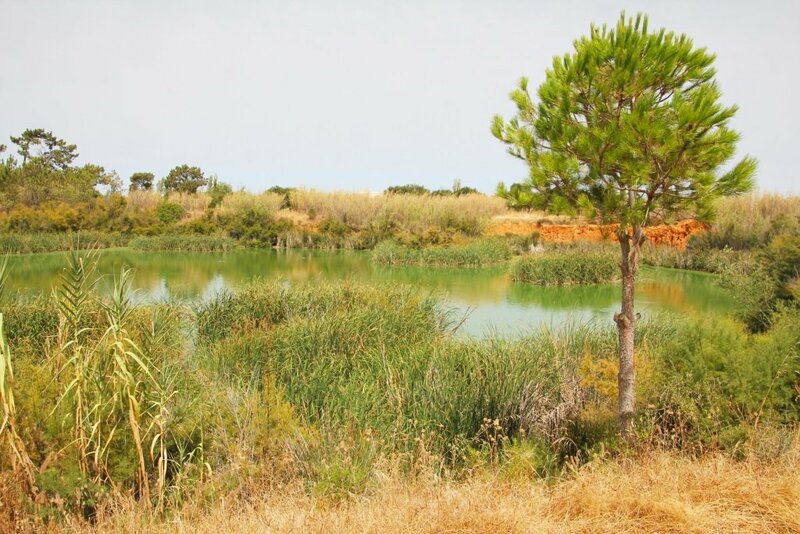 Rio Formosa is a national park South and East from Faro and Olhao. The natural park is a cluster of islands, floodplains, channels, sandbanks and artificially salt pans. You can find different kind of flora, flowers and trees, really lush and green. But also you can spot many birds. The symbol of the park is the Purple Gallinule, but as this bird is really shy, you probably would not see it. Make sure you get here early morning or before sunset, then the birds are more active. We visited the park during the day, which made it harder to spot birds and other animals. The entrance of Park Rio Formosa was hard to find. From Olhoa drive in the direction of Tavira on road N125. According to my Dutch travel guide, it should be about 2 kilometers from Olhoa. But I think it is a little less. The name stated in my guidebook was Centro de Educacao Ambiental de Marim. Me and my husband searched for a sign, drove a little up and down the N125 looking for a written sign. Then we saw a sign which said Parque Natural Rio Formosa. We took a look and it appears to be the right spot. After we paid the entrance fee, we could park our car at the lot. We got a map with about 3 km of assigned trails. It was clearly marked and easy to find. There are shelters to sit quietly to spot birds. 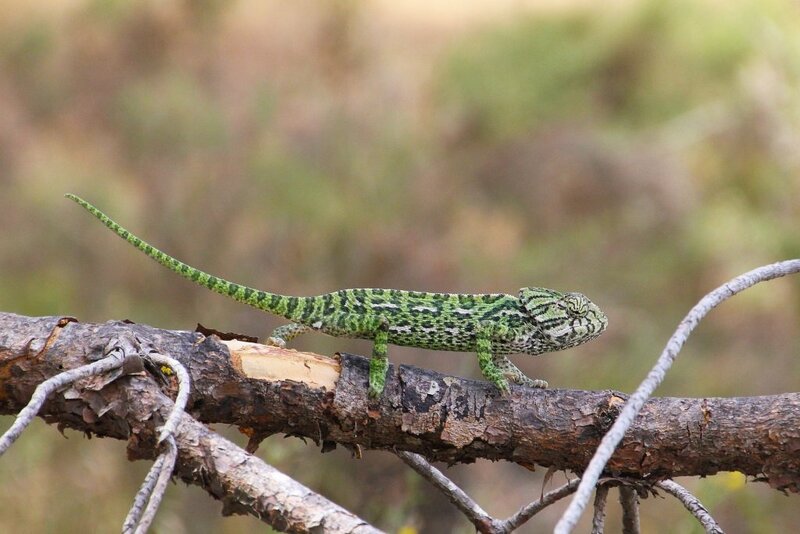 On the map they marked where it was most likely to spot chameleons. After we walked for 1.5 hours in the blistering heat we could see 2 of those cute creatures in the bushes. 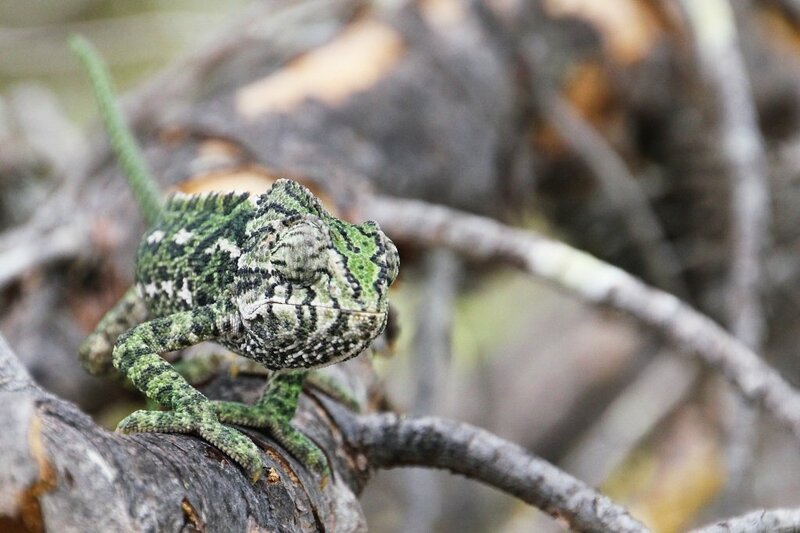 We really had to look up close to spot them because of the camouflage they are not easy to spot! I absolutely loved to see them and also this park was really good education to walk around and to see some nice nature. Make sure you’ll visit this park early morning or late afternoon, when the sun is less hot. There are not many high trees, so there will be not much shade.